Your roof protects your home and family from harsh weather conditions. Sadly, it’s also the part of your house that receives the least amount of attention from you until it starts to give you trouble. You might notice dark spots and moulds on your ceilings or walls. 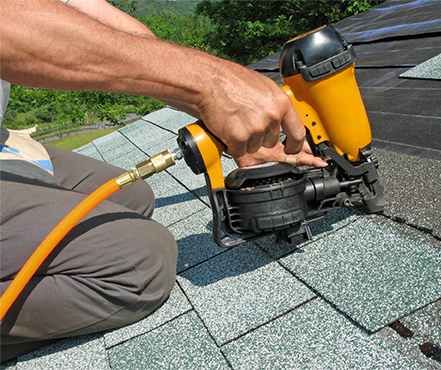 Before you know it, you might start seeing shrinking or eroded shingles, which are signs of much bigger problems. When you suspect roofing problems, do not sit back and wait for things to worsen. Call an expert to assess the situation and replace your roof if necessary to ensure the safety of your family and save the integrity of your home. This is one of the most important questions you need to answer before you make any other decisions. The wrong contractor can mean costly repairs later even if they offer the lowest bids today. The right contractor means you get to have the peace of mind that your roof is not going to give you any trouble in the years to come. Being from Markham makes the selection process easier for you because Dillon Bros. Roofing offers our expert services in your area. We are a family-owned and operated company that has been serving Toronto, York, and the Durham regions since 1998. We are known for our high quality roofing materials and reliable services – whether it’s a commercial or a residential project. Our roofers have successfully gone through the best roofing and safety training in Canada, which is why our workmanship sets us apart from all other roofers. For one, we never leave any messes once we’re done with our job. Your landscaping or garden is safe with us! There’s nothing you need to worry about except answering all the questions your neighbours will ask about your new and improved roofing! Shingle roofing has excellent qualities like its amazing durability, reasonable cost, and classic elegance. It is a popular choice among Canadians because it’s a good match against our extreme weather conditions. Dillon Bros. Roofing installs the most well-known brands for shingle roofing like BP, GAF, and IKO. These roofing materials come in 25 – lifetime warranties. We also install natural cedar taper-sawn and hand-split shakes and shingles. This is a great option for homeowners who like to clean and take care of their roofing on their own, because it is safer than other roofing options. There’s less risk of falling of a flat roof compared to sloped ones! Dillon Bros. Roofing provides classic 2-ply modified bitumen and single-ply TPO and EDPM systems. We are licensed to install CARLISLE, IKO, FIRESTONE, and SOPREMA roofs on both commercial and residential properties. 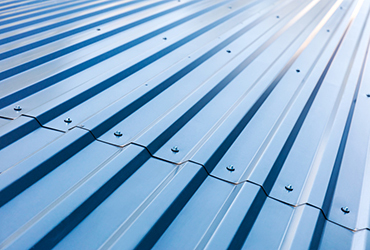 Environmentally-friendly, lightweight, and low-maintenance – these are just some of the characteristics of metal roofing that makes it a favourite among many Markham homeowners. Dillon Bros. Roofing offers shingle-style 3-foot interlocking Katola system, as well as full-length panel roofing from STEEL TILE ROOFING. You can also choose BUCHNER ALUMINUM SHINGLES which come in a variety of colours. Now there’s no reason for you not to get strong yet beautiful roofing! You can add natural lighting and warmth to your home’s interiors by having sun tunnels and skylights installed. We have great options for you from Artistic Skylight Domes and Velux. Apart from that, we offer other services like gutter clean system installation, vinyl and aluminum siding installation, eaves trough cleaning, and snow removal. “Fly-by-night” contractors may try to entice you with really low bids, but you have to remember that just because you’re paying less upfront doesn’t mean you get the best deal. In roofing, you always get what you pay for in general. What Dillon Bros. Roofing can promise you is that we’ll provide you with the most reliable services and the best quality roofing products at the fairest price possible. You can reach out to us at 1-807-606-1718 anytime if you have any questions about the services we offer. We can also help you make your roofing decisions. Your Markham home deserves only the best roofing, so make sure you call only the best roofers: Dillon Bros. Roofing!